The last few days I've received numerous questions all in the line of "How do I format page/region/report x, giving condition y?" I decided to write a blog to outline a number of ways you can add style to your application. Let’s start by saying that an APEX application is, in general just HTML generated by a database, so your application can basically be treated as any other website. This means you can use the same methods of styling and editing a page in APEX as you can with a conventional website. Style of a website is handled using a stylesheet, CSS. You can add style properties in your stylesheet and assign those properties to HTML elements using there element id, class, type, etc. Or at least, that is good practice. You can also add style in line in your HTML using <style> tags. Back to APEX. 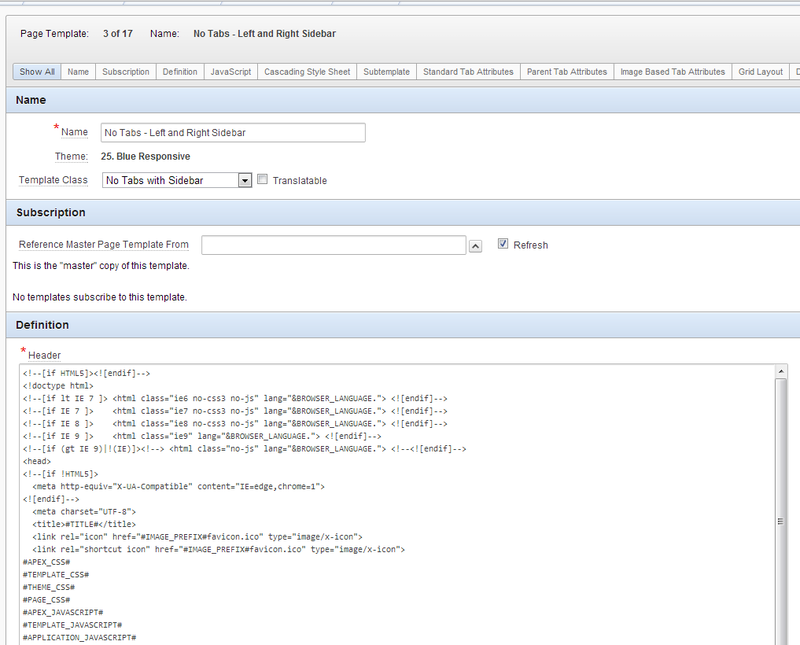 APEX allows you to add style to page your application, your page or page items in a number of ways. You can add this script in your page HTML header. Although this will work perfectly ok, adding style attributes like this can cause you a lot of headache once you need to do site maintenance. Besides, you’d have to add this style script in every page and for every item for which you want to modify the style. We can upload this stylesheet to our application file directory and include the file path in the CSS file URL’s of the page attributes. Not very often will we want to modify all the input fields of a page. More likely you’d want to change only a few items. If you still want them to always hand them the same set of style attributes, you can use classes. The use of CSS classes allows for a finer grained style modification. Where input items or report columns with class “inputBold” would show text in bold, and fields with class “inputItal” would show text in italics. In this example the stylesheet should be uploaded to your applications image directory. Including your file in the application global page will ensure that the file is loaded for each individual page. An even nicer solution is to include the css file in the header definition of your page templates. You should add the link to your stylesheet somewhere between the <head></head> tags. Be aware though, modifying your application’s template affects all the pages in your application and when done wrong, might ruin your entire application. Now that we know how to add stylesheets to our application and we can add classes to fields or columns, we can look at a special case: what if you want to apply one style under certain circumstances, and another style in other circumstances? Let’s for example take a balance table with some income posts and some expense posts: How can we show the expenses in red and the incomes in green? Although there are more ways to modify style in your application, this post describes some the most common ones. 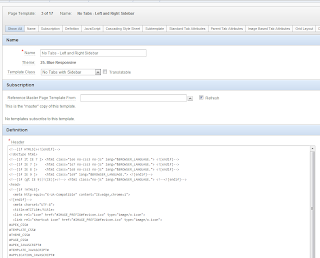 For additional information on stylesheets in APEX you can also consult the Oracle documentation. My explanation of conditional formatting and the use of HTML expressions is based on the blog of Tyler Muth. For more detailed explanation of stylesheets in general and for CSS syntax, please check w3schools.